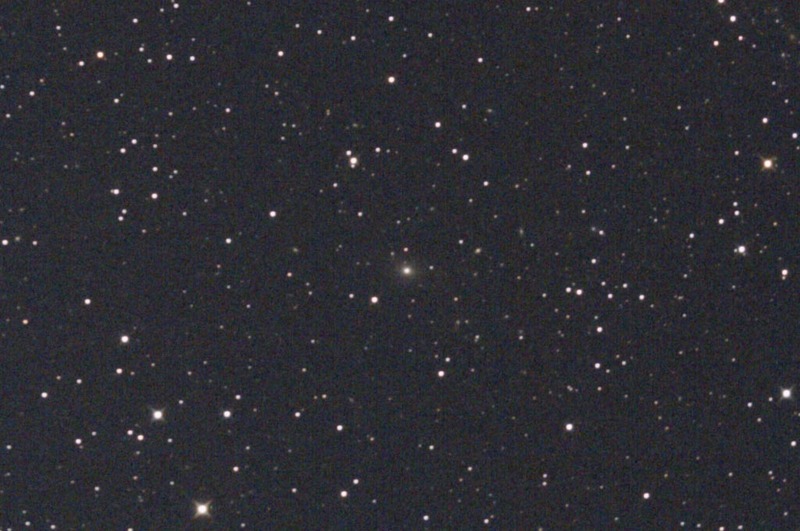 the older one below, including lots of faint galaxies. Autoguiding was used for these images, the sky was not completely dark, I am too far north! In a few weeks we'll get some real darkness here again. One single 5 minute exposure at 800 ISO on July 4, 2008 from Beilen. SQM reading was 20.3 mag/sq. arcsec. which is hosting the Quasar (Blazar) 1652+398 which is observable at radio frequencies. What we see is the light from the galaxy. 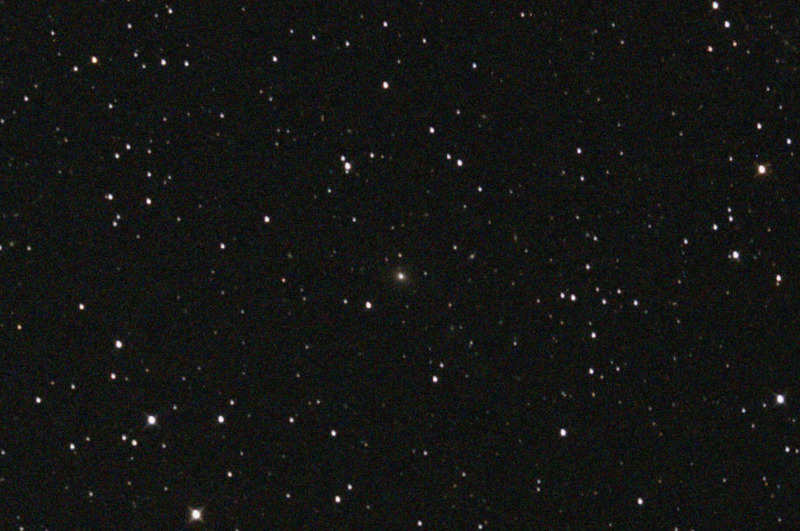 This image was made with a modified Canon 40D, and a 20-cm (8") f/2.75 ASA Astrograph.